The UK's largest cat charity will launch the nation's first 'Manifesto for Cats' at a parliamentary event ahead of the General Election. Cats Protection will unveil its 10-point document at a reception hosted by Neil Parish MP, Chairman of the Associate Parliamentary Group for Animal Welfare, and supported by Petplan, at the House of Commons on 10 February 2015. The manifesto, compiled following a three-month consultation with members of the public, will outline measures to protect the UK's favourite pet from abandonment, harm and neglect. It will include a “wish list” of policies such as controlling the irresponsible breeding and sale of cats, banning snares, tighter regulations on the licensing of air guns and the inclusion of animal welfare in the National Curriculum. Over 93 per cent of those surveyed by Cats Protection agreed with all 10 manifesto proposals it consulted on and the charity hopes the document will help shape the future of animal welfare legislation. The finalised manifesto will be presented to MPs and invited guests at the reception on 10 February and will be available online. The charity will also be releasing a new video on YouTube in which cat lovers will call on politicians to take action to improve feline welfare in the UK. As well as rehoming unwanted and abandoned cats, the charity also promotes neutering, provides cat care advice and delivers talks about cat care to thousands of schoolchildren and community groups every year. Cats Protection's Advocacy Manager Jacqui Cuff said: “Over the past few years, we have been contacted about a worrying number of issues that our supporters and the general public want us to raise with Government. 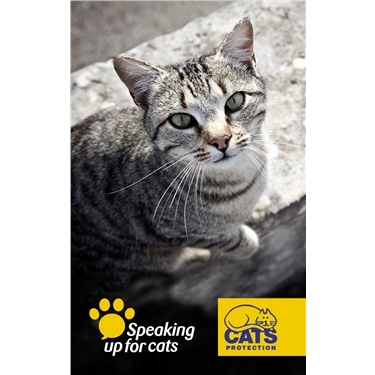 "Cats Protection is pleased to be working with Government and to be presenting our first ever Manifesto for Cats. Delivery of the manifesto would improve the lives of thousands of cats and prevent them from harm. She added that the manifesto points raised by the charity would benefit the nation's estimated 10.5 million pet cats. Neil Parish MP said: “As a cat owner myself I am delighted to host the launch of the first ever ‘Manifesto for Cats’. There are areas of feline welfare where more work should be done to tackle cat abandonment. I look forward to submitting this Manifesto to the Secretary of State”.